TECHNOPATCH TOUGH is a cold applied porous mixture for repairing potholes or locations where aggregate has been scattered in porous asphalt paving (high function paving). Because an epoxy resin is used as the bonding material it will have high durability, and by using a burner to heat and cure the resin it will be possible to open the road to traffic at an early period. Even during high temperatures in the summertime, a sufficient usage time can be obtained. 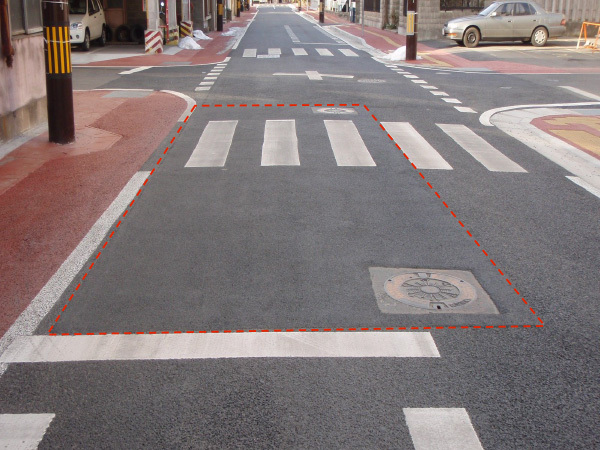 1.Because hardening can be carried out in a short period of time through heating with a burner, it will be possible to open the road to traffic at an early period even during low temperatures in the wintertime. Since it is only necessary to add the hardening agent to the aggregate and mix it together, it will be possible to easily manufacture the mixture at the site. Because aggregate between 8mm to 5mm in size is utilized, the mixture can be used in a wide range of applications, from surface roughening to pothole and rail patching. 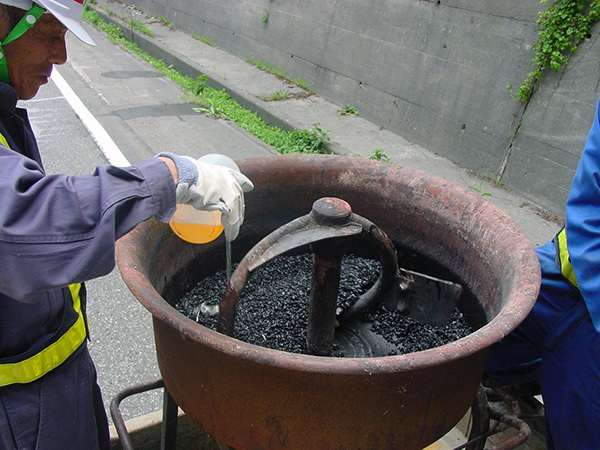 Properties and conditions that are similar to or better than normal porous asphalt compounds will be obtained.